I taught myself to crochet. By that, I mean that I did a lot of fumbling and way too much looking around for answers to my questions! It can be so difficult to start learning to crochet, and if it hadn’t been for my sheer excitement, I probably would have given up like I did with knitting (but that’s a story for another day)! There were two main things that kept me invested in my desire to learn to crochet. I didn’t have many hobbies. I wrote. I’m a writer. But writers (surprise!) have writer’s block, and I was frustrated. My other half works on small-scale models in his free time. What did I have? I wanted a new hobby that had lots of stuff. Supplies. Things to make a mess with. So I went to Michaels and spent the rest of my fun money on yarn. And hooks. And buttons and needles and other such fun! 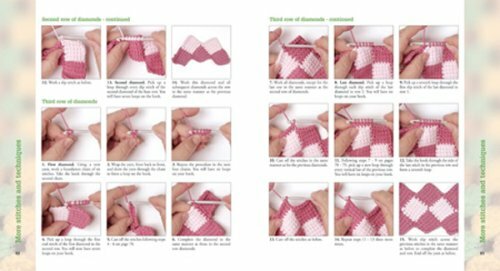 I didn’t know how to read patterns, and I didn’t like the quality of the photographs and explanations that came in most How to Crochet books. But what I didn’t know when I started out was that there was a perfectly wonderful instruction manual to crochet just waiting for me. It took me two years before I even knew it existed. My other half bought me my first ever skeins of “fancy yarn” for Christmas one year, and with them, he ended up giving me the world (of crochet, that is)! The book he gave me is still one of my most loved, most referenced books in my entire library (I’m a writer, remember? I have a LOT of books). 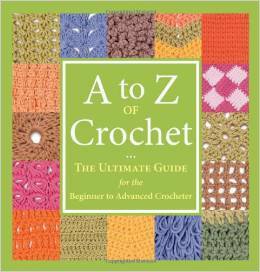 It is called A-Z Crochet: the Ultimate Guide for the Beginner and Advanced Crocheter. It is obnoxiously green and handily spiral-bound, and the pictures and explanations are PHENOMENAL. This book is my crochet bible. 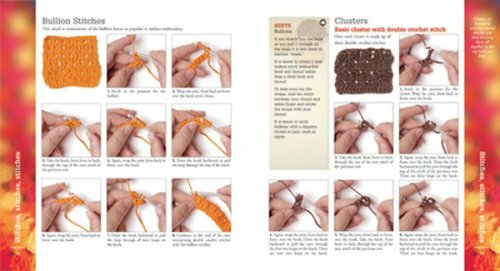 It is SO helpful; if I could only recommend one single resource for those learning to crochet, this would be it! No competition! 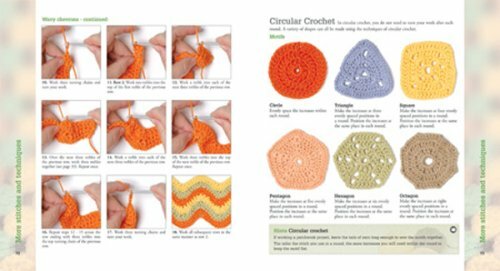 It teaches you all the basic stitches plus some, how to increase and decrease, how to crochet in the round (a must for all things and amigurumi! ), and so much more! Tassels and buttons and edgings, oh my! 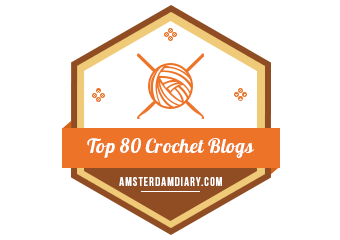 A-Z Crochet is seriously recommended by this crocheter. After years of crocheting, I still go back to this book. So whether you’re a pro or a newcomer to crochet, or if you are curious about it at all, take a look at this book. You can get it direct from Amazon, but mine came from Michaels. Go. Buy it. Use it. Love it. You’re amazing. I’m also learning crochet from Youtube. Plus Im left-handed, so no one wants to teach me. Wish i can buy this book in my country.